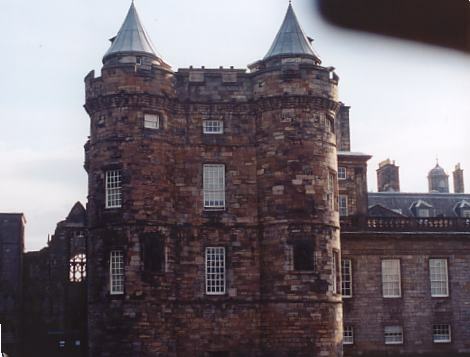 We entered Scotland at 12:58 on Friday, stopped at Moffat for lunch and shopping, then on to Edinburgh. Traffic jam held us up for a while not far from the Firth of Forth bridge. Our hotel was across the Firth in North Queensferry. 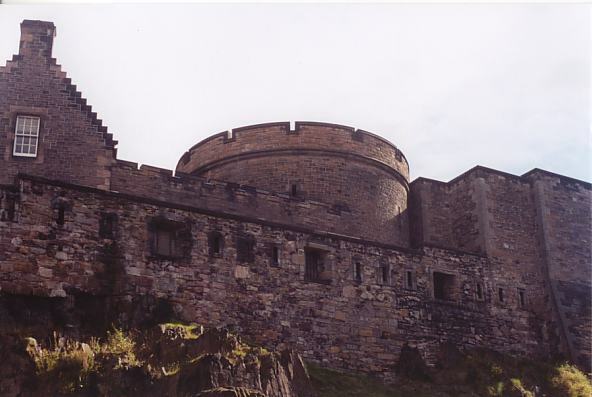 Spent Saturday in Edinburgh. 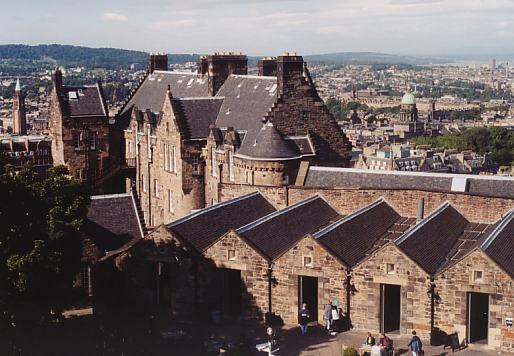 A view of Edinburgh from the Castle. The Firth of Forth is in the background. Another view to the west of above picture. 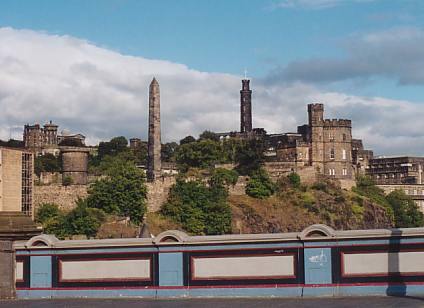 Sir Walter Scott monument is the tall steeple-like structure at the right. 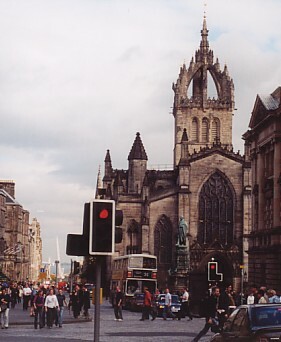 The street with the buses is Princes St. 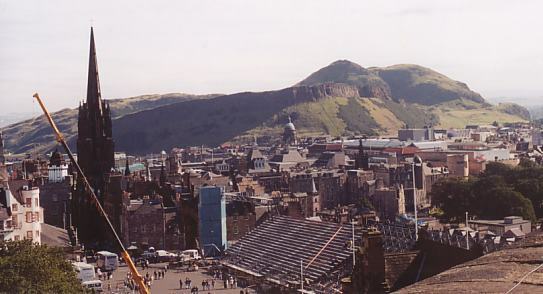 The high part of this hill is known as Arthur's Seat. 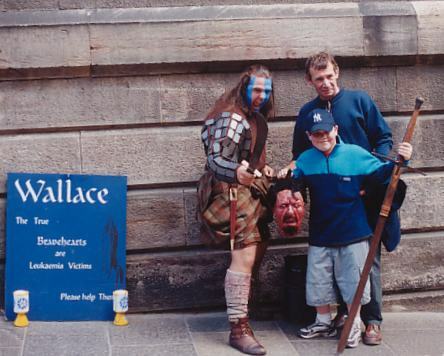 A noble Scot with his English trophy! 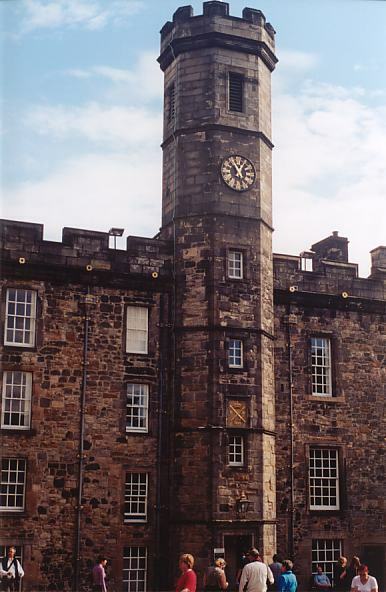 Main entrance to Edinburgh Castle. 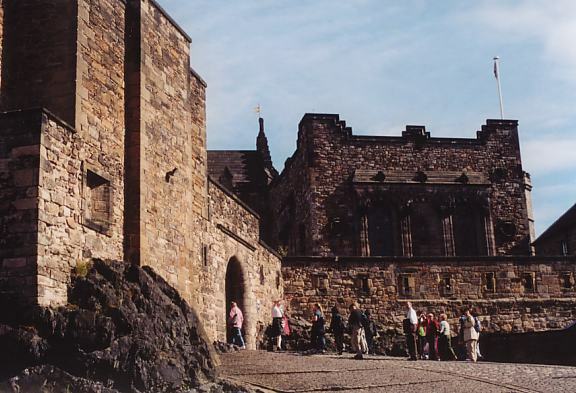 Inside Edinburgh Castle. The Firth is visible at top right; our hotel was across the Firth past where it narrows. 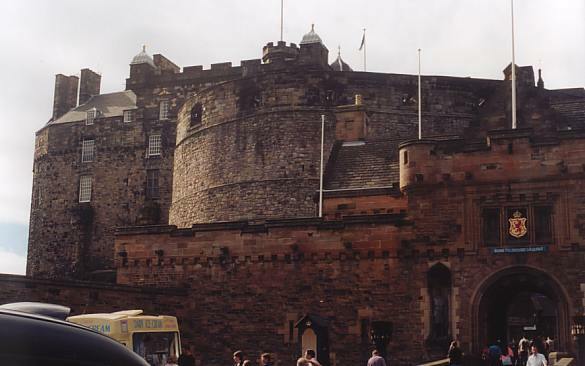 An outside wall taken from inside Edinburgh Castle. 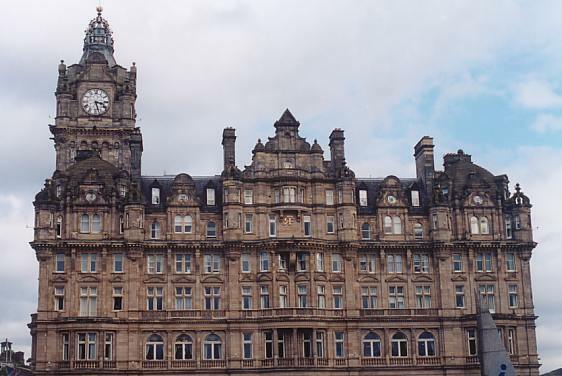 Balmoral Hotel, 1 Princes St, Edinburgh. Rates from £150 to £940 per night. 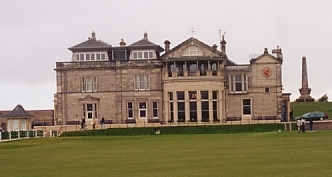 Clubhouse at St Andrews Golf Course. And where did the word golf come from? . . . Gentlemen Only Ladies Forbidden! 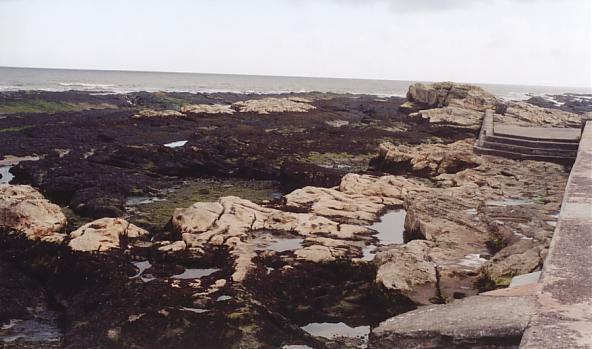 The beach at St Andrews. The water is the North Sea. The Witches' Hole, St Andrews. It was here that suspected witches were thrown into the sea at high tide. If they sank and drowned, they were not a witch. If they floated it meant that they were a witch, and were executed. 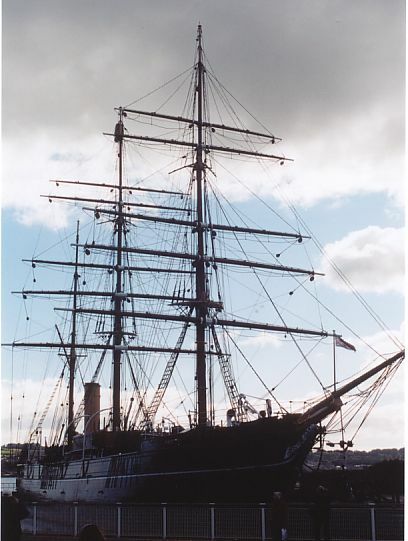 The Antarctic research ship Discovery, now a museum exhibit at Dundee, Scotland. 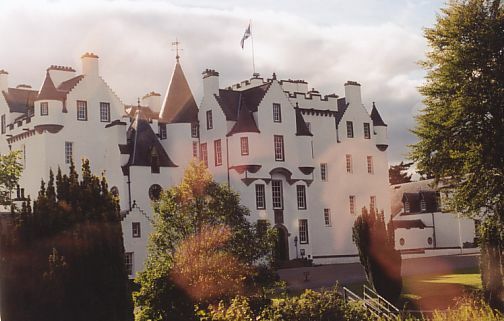 Blair Castle, near Pitlockry, Scotland. Ruthven Barracks: gutted by fire in 1745 during the 2nd Jacobite rebellion. A forest similar to what we have at home. Scottish Highlands. 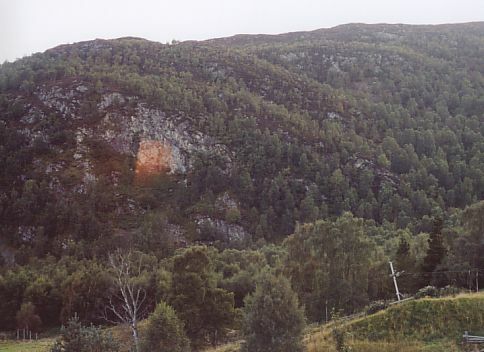 A farming area in the Highlands. The Caledonia Canal at Inverness. It connects the Moray Firth to Loch Ness. The next series of photos will be along some lochs in Scotland, the most familiar being Loch Ness and Loch Lomond, and then back into England at Gretna Green. Click here.